Read the quote above. You may have seen it before on a poster, a greeting card stores, or even on your friend’s t-shirt. In the small business and startup world, everyone is racing to get to the other side so they can discover if their biz is successful. Some even say that the sooner you fail, the quicker you’ll get the jump-start for success. Sound contradictory? Think about it for a sec. If the only way you can grow is to fail before you succeed, you better get to the failure part, and fast! Let’s put it another way. Anytime you are working at something there is going to be some level of failure (an edit, a rejected proposal, a failed campaign, etc.). Some “fail” at a greater level than others (and get to it more quickly) because they risk more. Why are they able to do that? Confidence: Your confidence can help you to push the envelope. If your confidence is low, use this time in your life to work on it and develop it. Try things. Fail! Then get up, grow from it, and try again. Goals: Do you have any? Have you written them down? Devised a plan of attack? Are you working toward them? Pride: Too much pride makes it almost impossible to try anything new. Putting your sights on the end goal can help you remember to put your pride on the back burner during the journey to success. Priority: Is the work you’re doing a priority? Are you the only breadwinner? How much can you risk in this career? Workplace bureaucracy: Depending on the temperature of your workplace, you may be able to risk more or less. Your perspective on fear, failure, and success is ultimately what will help you grow or remain stagnant in your career journey. Too much second-guessing and ruminating about the opportunities you missed or didn’t try for can bring you down. Choose your path and move through it with as much grace and perseverance as possible. 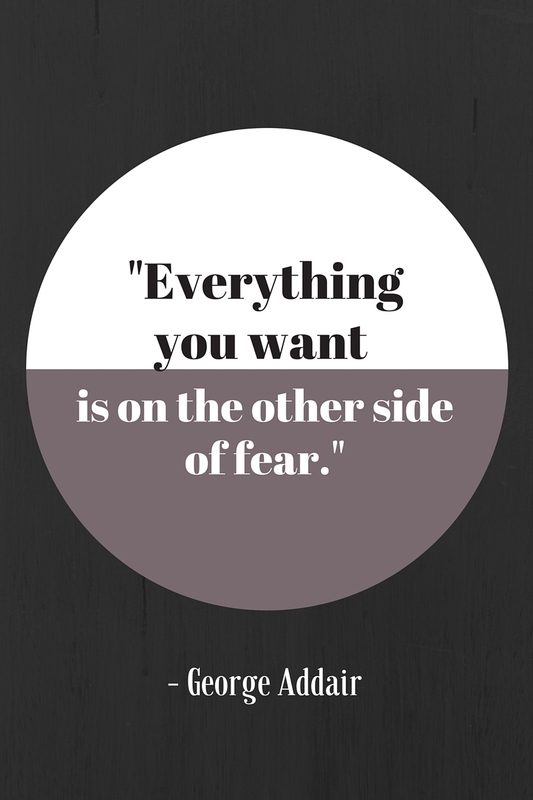 Remember that the fear may always be there and you can either run from it or choose to use it as a motivator.